Taiyo Yuden has launched two 802.11ac wireless modules for nodes in the Internet of Things (IoT) and machine communications as data traffic increases. 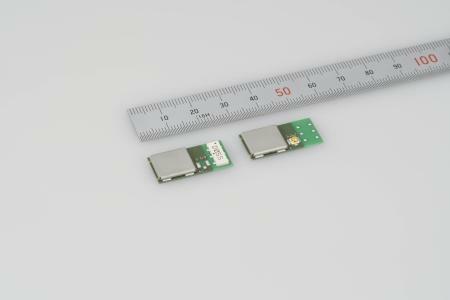 The WYSAGVDXG and WYSEGVDXG measure 24.0×11.5×2.0 mm high for applications such as robot control, handy terminals used for reading barcodes, and mobile printers for printing read out data and IoT-related devices. The WYSAGVDXG is equipped with a proprietary dual-band antenna that can be used for both 2.4 GHz and 5 GHz frequency bands for data rates up to 433Mbit/s, while the WYSEGVDXG is equipped with a connector for an antenna. Both products are compliant with wireless requirements in Japan, North America and the EU, reducing the development time. Mass production of the products will commence in December 2018. The company sees IoT driving up the number of devices employing wireless communications with data traffic also showing an increasing trend. In particular, Industry 4.0 and other M2M-based robot control for coordinating manufacturing processes and production machines have come to attention, boosting the demand for wireless communications not only in the consumer product market but also the industry equipment market. In such environments, the available frequency band can become busy and generate mutual interference, causing various obstacles such as reduced wireless communications speed and connection failure. Moreover, wireless communications devices must be compliant with the Radio Law of the countries in which they are used, and the cost and time required to obtain certification in various countries have become a burden for development. The company is also working on higher-speed wireless communications such as IEEE802.11ac Wave2.